The week has been disconcerting. I have, with relief, finished reading yet another book I did not enjoy very much (I swear the last time I will do this), though it did travel across countryside I am fond of. At least I am only reading three books now. Every attempt to settle to writing on my new novel has been thwarted, however my finished novel has had a bite from an agent… I am not holding my breath. I have been working on the Far East POW book again (new post tomorrow night). In the garden warm weather has led to some strange anomalies. A spring clematis, Wada’s Primrose is flowering. Another maple is only just now shedding its autumn colour. 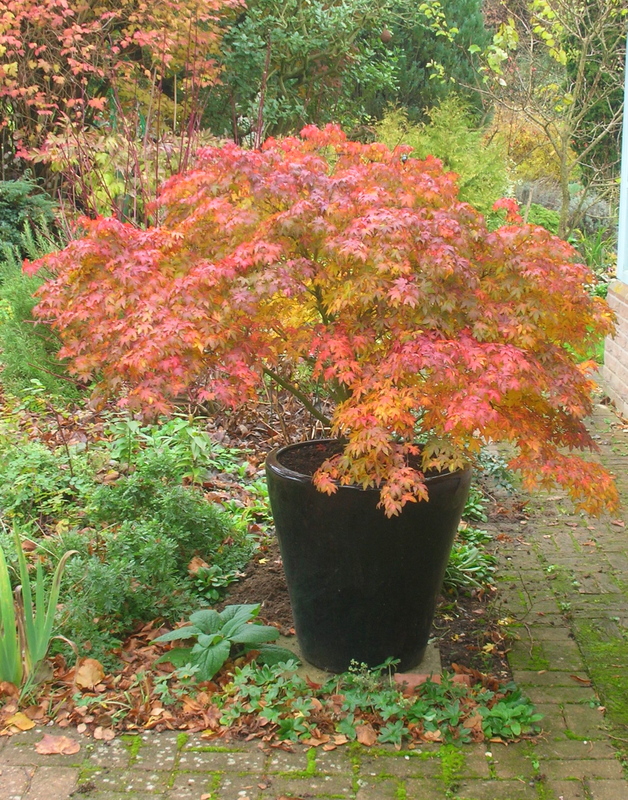 But sadly one of my favourite maples, Sengokaku, was showing canker and today I have had to cut a big stem out of it. Tomorrow I shall be at a Lindy Hopping workshop all day – happiness! This entry was posted in Gardens, Reading, Writing notes and tagged clematis Wada's Primrose, Lindy Hop, literary agent, maples, novel by hilarycustancegreen. Bookmark the permalink. You might have a warm autumn, here the opposite. This morning our lounge was 11c, so are having our heating back on, three and a bit weeks from Christmas when the norm is over 30C. 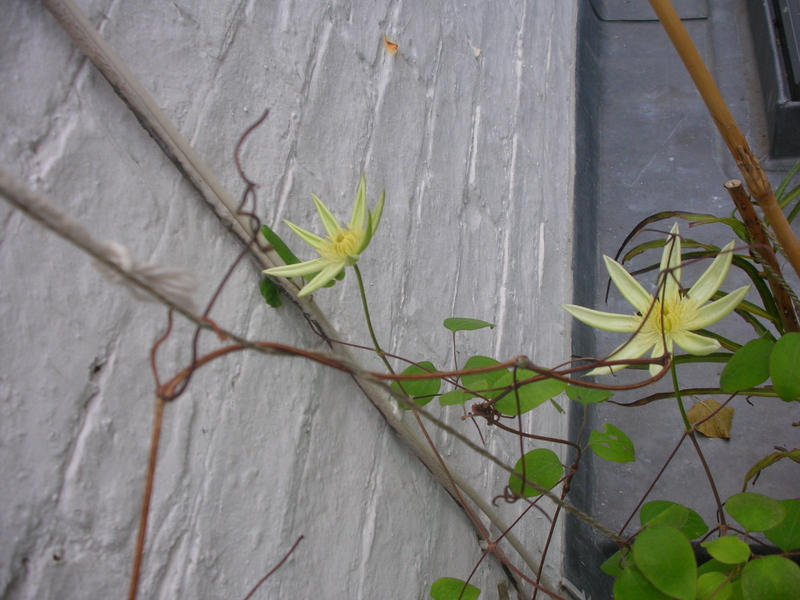 Clematis thrives here. Helvi planted one a couple of weeks ago. I would resist reading books that you don’t enjoy. When life gets frustrating, the garden is always a pleasant break. My dream is to be like Louisa M Alcott and rent a room somewhere with no distractions to finish what I am writing. Life does get in the way doesn’t it? but gpox is right the garden is a pleasant break and a great place to sort out our thoughts. Good luck with the novel. Indeed, and I am very lucky that I have the garden (not to mention my family, Lindy Hopping and so much more) to balance the ups and downs of writing . Good news about the agent – I hope it leads to something. No luck. A very swift ‘not for us’ response, with some kindly, encouraging, but pretty standard words attached. Thanks, but I really wasn’t holding my breath. I think it’ll be DIY in the spring. My brain’s smaller than yours.